ZOLL), a manufacturer of medical devices and related software solutions, announced today that the Medical Device Network has named the LifeVest® Wearable Defibrillator as one of the five most innovative and life-changing medical devices of 2009. The LifeVest Wearable Defibrillator is worn by patients at risk for sudden cardiac arrest (SCA), providing protection during their changing condition and while permanent SCA risk has not been established. 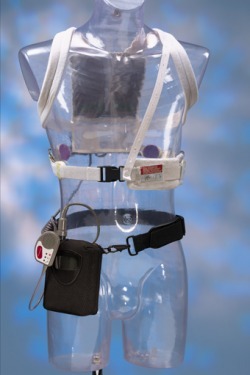 The LifeVest allows a patient’s physician time to assess his or her long-term arrhythmic risk and make appropriate plans. continuously monitors the patient’s heart and, if a life-threatening heart rhythm is detected, the device delivers a treatment shock to restore normal heart rhythm. cardiomyopathy or congestive heart failure that places them at particular risk. industry. To read more about Medical Device Network’s special feature on 2009's Top Five Innovative Devices, please visit http://www.medicaldevice-network.com/features/feature73080/. 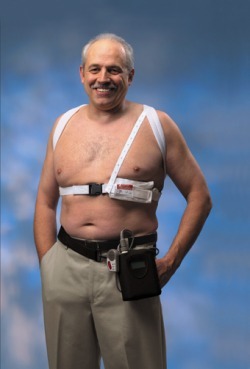 To learn more about the LifeVest, visit www.zoll.com/lifevest or call 1-800-543-3267.
efficiencies. With products for defibrillation and monitoring, circulation and CPR feedback, data management, fluid resuscitation, and therapeutic temperature management, ZOLL provides a comprehensive set of technologies which help clinicians, EMS and fire professionals, and lay rescuers treat victims needing resuscitation and critical care. A NASDAQ Global Select company and a Forbes 100 Most Trustworthy Company for the past three years, ZOLL develops and manufactures its products in the United States, in California, Colorado, Illinois, Massachusetts, Pennsylvania, and Rhode Island. More than 400 direct sales and service representatives, 1,100 business partners, and 200 independent representatives serve our customers in over 140 countries around the globe. For more information, visit www.zoll.com. Certain statements contained in this press release, including statements regarding the future business of the Company, and other statements contained herein regarding matters that are not historical facts, are “forward-looking” statements (as defined in the Private Securities Litigation Reform Act of 1995). Because such statements are subject to risks and uncertainties, actual results may differ materially from those expressed or implied by such forward-looking statements. Factors that could cause actual results to differ materially from those expressed or implied by such forward-looking statements include, but are not limited to, those factors discussed in the section entitled “Risk Factors” in the Company's Annual Report on Form 10-K filed with the SEC on December 10, 2009. You should not place undue reliance on the forward looking statements in this press release, and the Company disavows any obligation to update or supplement those statements in the event of any changes in the facts, circumstances, or expectations that underlie those statements. registered trademarks of ZOLL Medical Corporation.